Sorry but we do not sell our hardware separately. 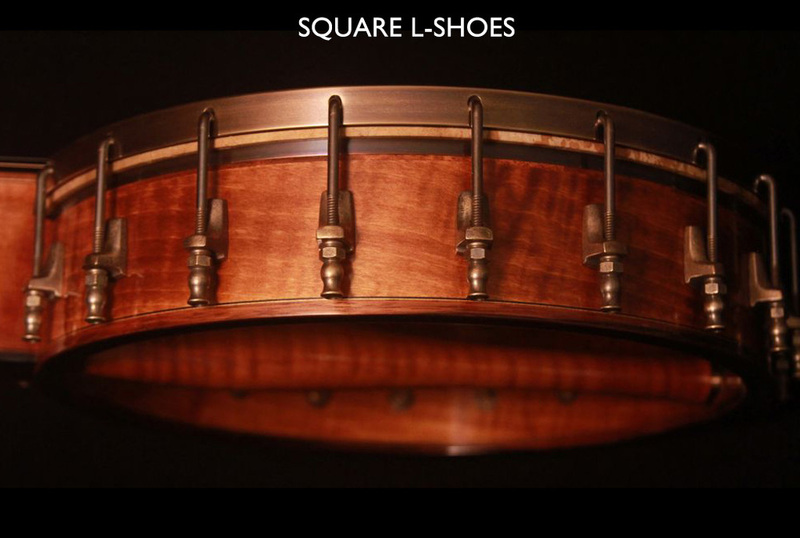 All hardware designs © Romero Banjos. In the beginning, the majority of our hardware is either raw brass or bronze. 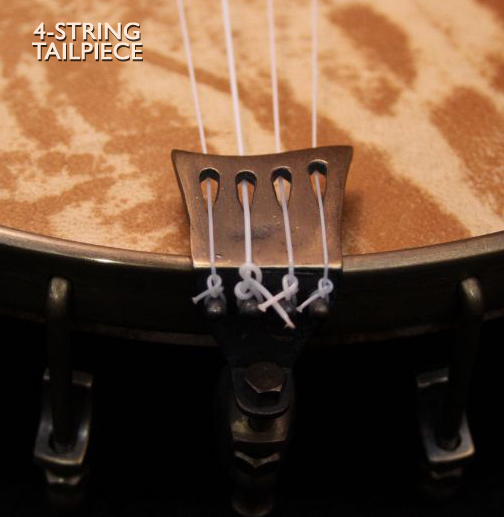 Every banjo can be customized with a variety of metal finishes. An optional blackened/aged finish is available on all hardware, giving hardware a patinaed look and offering a protective coating against tarnish. We can customize your aged finish from a light patina to a dark, almost black, look. 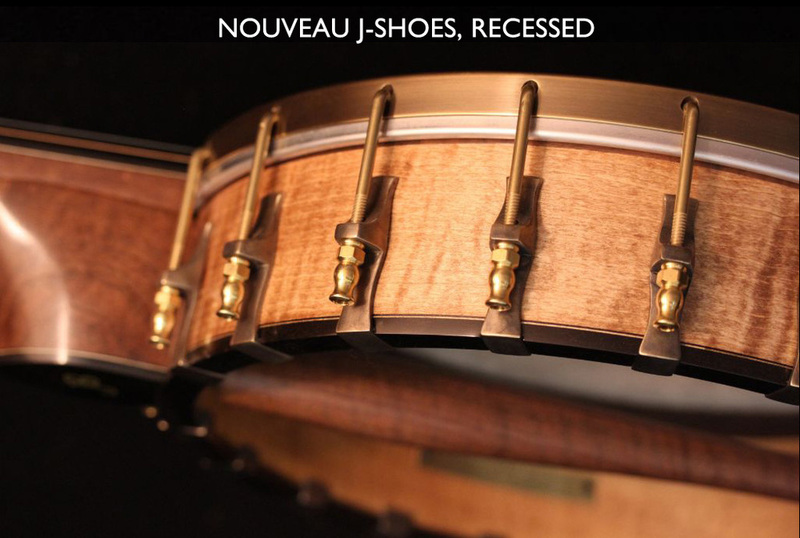 Most Romero banjos leave our workshop with unplated brass and bronze hardware. 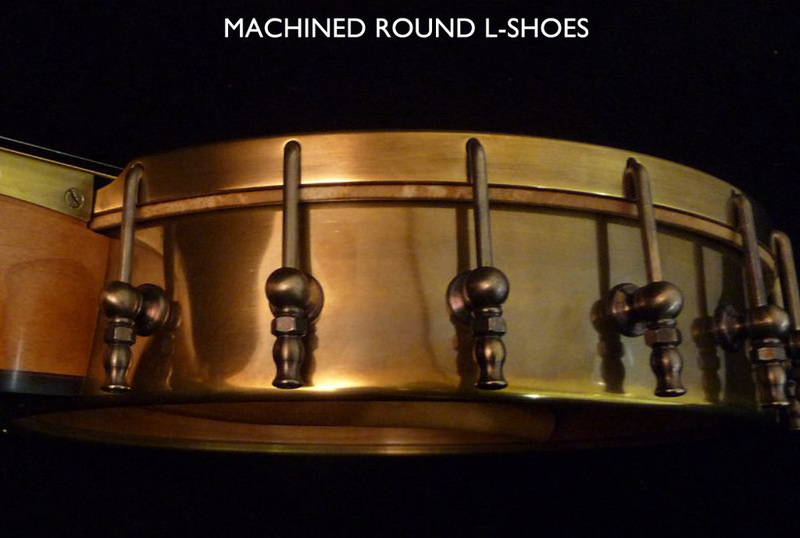 We can provide nickel, gold and copper plating on your banjo, though turnaround for the plating will need additional lead time. 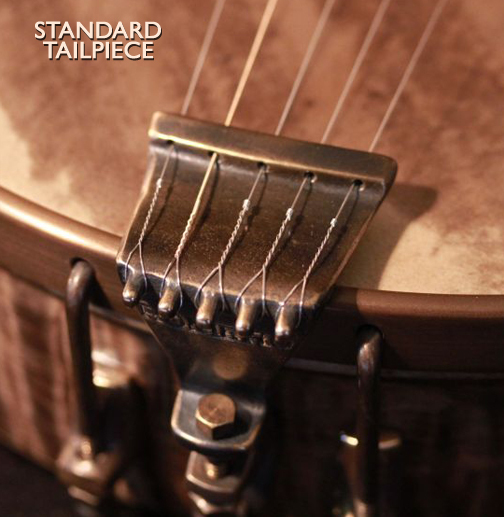 Our handmade tension hoops are a standard feature on each J. Romero Banjo, and are directly inspired by the old Van Eps design. The tension hoop has holes in the side where the round hooks attach, rather than a groove or notch on the top. 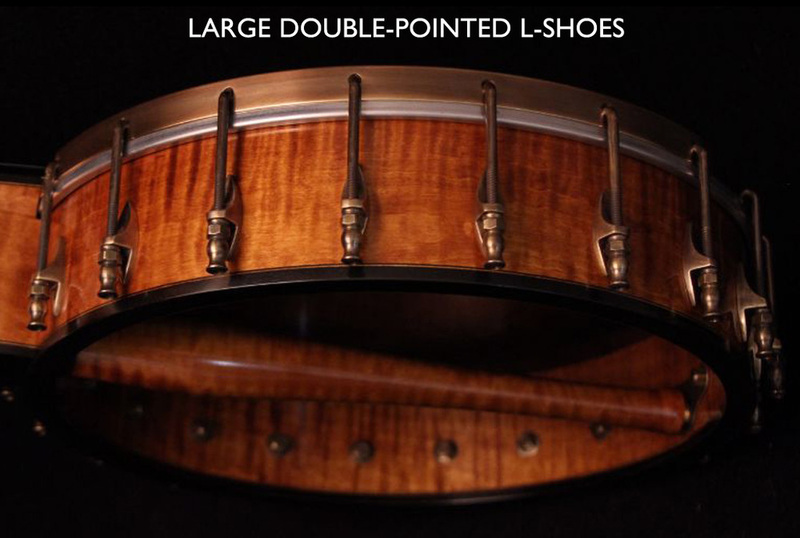 As an option, we can custom manufacture these hoops with any hook configuration, including traditional notches. Other hook configurations available upon request. Our original "Tulip" nuts are available standard on all Romero banjos. These unique nuts were designed here in our shop, and are available only from us! Custom machined from brass. 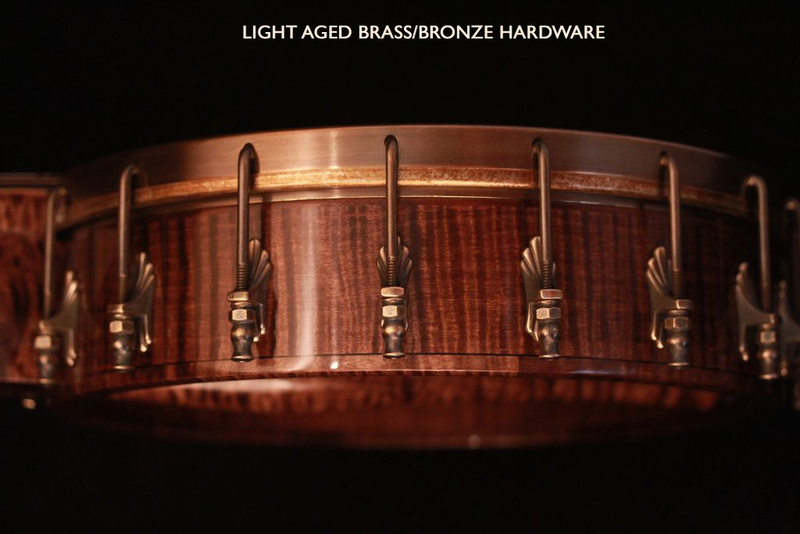 We are proud to carry what we believe is the largest variety of custom cast bronze rim fasteners in the known banjo universe. Please keep in mind that the various finishes you see on the examples are available on all our metalwork - shoes, hooks, nuts, etc. Though we strive for perfection, the casting process that allows us a variety of shapes also by nature includes small dimples and pits on the surface of the bronze. We hand sand most of these out, but occasionally they can be seen. We find the benefits of the casting process far outweigh these small imperfections! Washers in star, daisy or other custom hand-cut shapes are available. 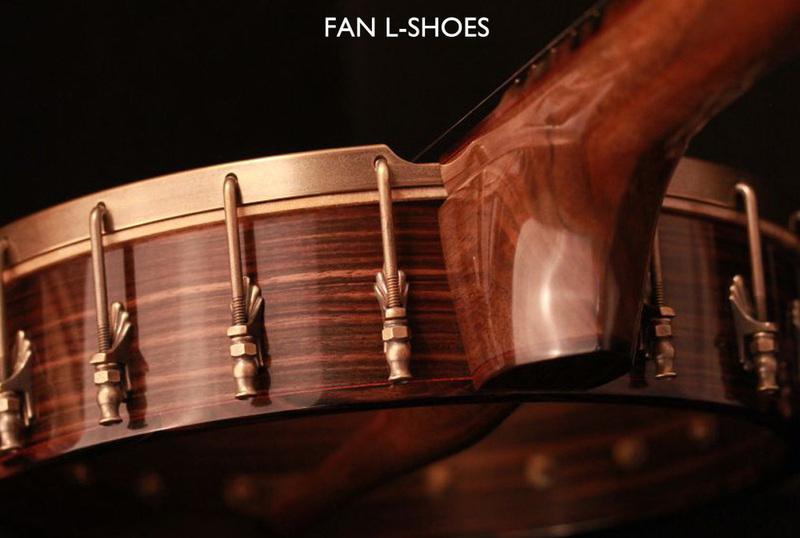 Industry standard L-shoes are also available, and are included in the base price for all Romero banjos. 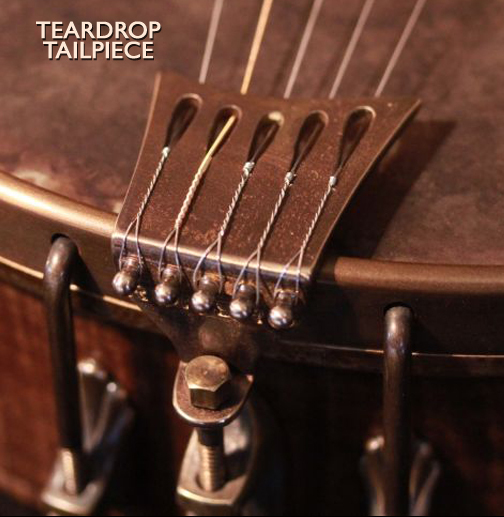 We use Gotoh tuners on most of our banjos; we use Waverly tuners on slotted peghead banjos. 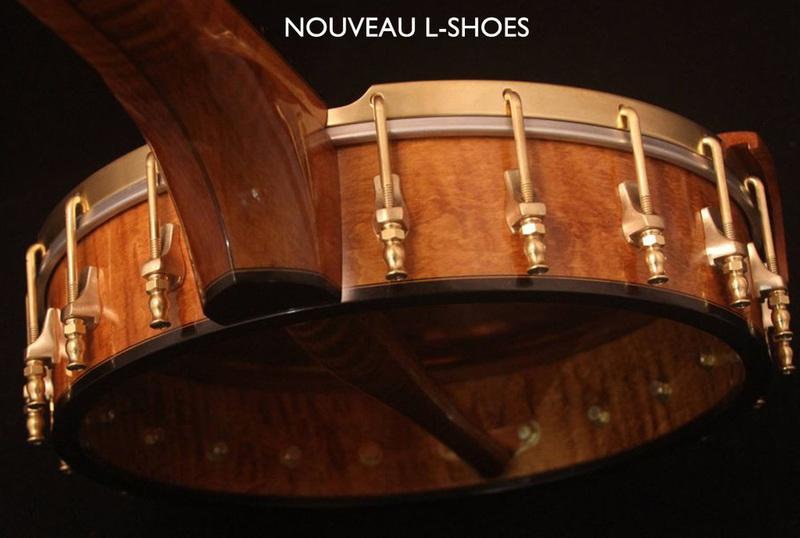 Pegheds (geared violin) tuners, with a variety of button materials, are available as an option. Most tuners come with black buttons. Amber & cast bronze tuner buttons are an optional upgrade. 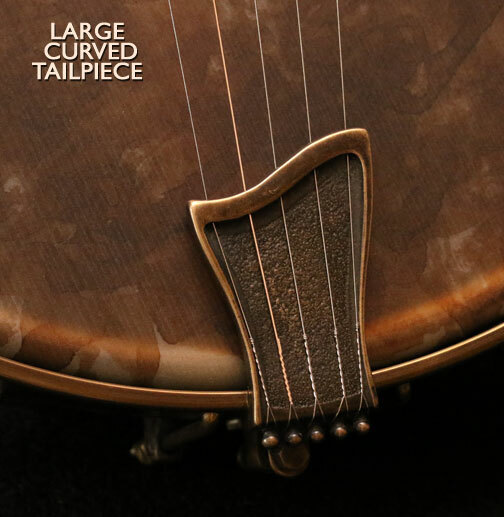 Our banjos feature custom Romero cast bronze tailpieces, designed to allow for a slight downward pressure and a wider string spacing - we believe they are the ideal open-back tailpiece. 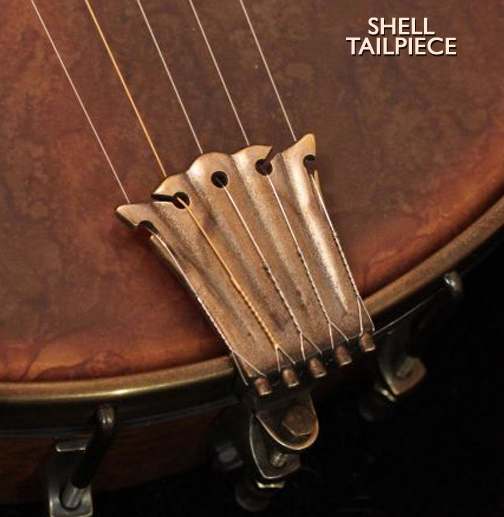 We have 4, 5 and 6-string tailpieces available. 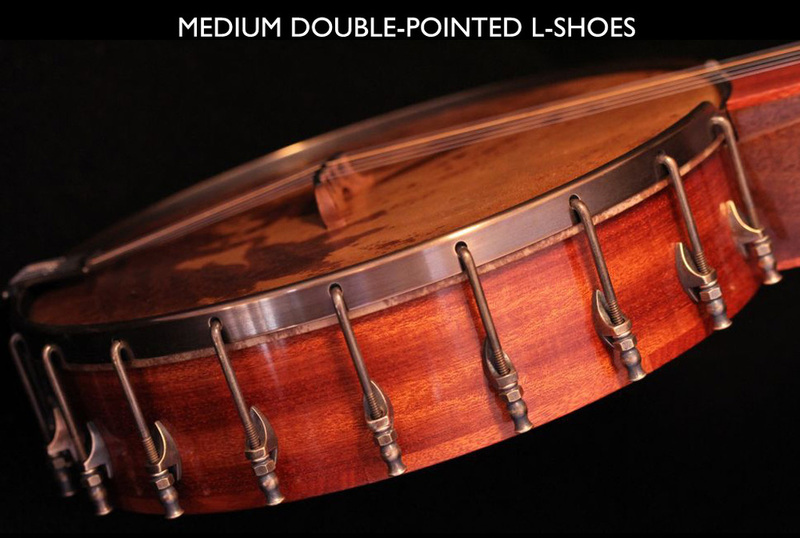 A variety of after-market tailpieces, including Kershner-style, Price, and no-knot, are also available.